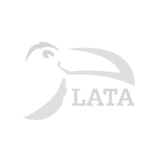 LATA Members represent an ever growing travel community with unrivaled passion and knowledge for Latin America. The LATA Website is the very best place to find new business partners, creating mutually beneficial relationship. Join the world’s biggest Latin American Travel Trade Association and engage with the ever growing LATA Community.